Additional workshops may be added as time goes on. All of the workshops will start Monday night with our orientation dinner and go for 3 days. This workshop will address all aspects of the work of the participants, but particular stress will be put on the possibilities that poetry offers for imaginative travel. We will examine the claustrophobic limits of memory-driven poems and experiment with ways to access more expansive realms. 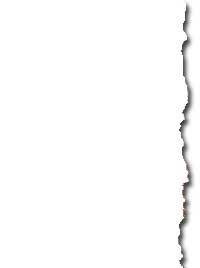 We will focus on poetic strategies that turn the poem in surprising directions. Billy Collins has published eight collections of poetry, including Questions About Angels, The Art of Drowning, Lightning, Taking Off Emily Dickinson's Clothes, Sailing Alone Around the Room: New & Selected Poems, Nine Horses, The Trouble With Poetry and Other Poems. He also edited two anthologies of contemporary poetry: Poetry 180: A Turning Back to Poetry and 180 More: Extraordinary Poems for Every Day. His work has also appeared in such periodicals as The New Yorker, The Paris Review, The Atlantic Monthly, and The American Scholar. Included among the honors Billy Collins has received are fellowships from the New York Foundation for the Arts, the National Endowment for the Arts, and the Guggenheim Foundation. He has also been awarded the Oscar Blumenthal Prize, the Bess Hokin Prize, the Frederick Bock Prize, and the Levinson Prize — all awarded by Poetry magazine. 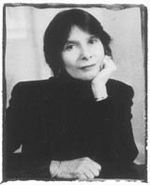 In October 2004, Collins was selected as the inaugural recipient of the Poetry Foundation’s Mark Twain Award for humor in poetry. He has been a writer-in-residence at Sarah Lawrence College, and served as a Literary Lion of the New York Public Library. He is a Distinguished Professor of English at Lehman College, City University of New York, where he has taught for the past 30 years. In June 2001, Billy Collins was appointed United States Poet Laureate (2001-2003). In January 2004, he was named New York State Poet Laureate 2004-06. Creative Nonfiction is a wild and woolly form that can include the personal essay, the memoir, literary journalism or any combination of the three. We will talk about the many possibilities that "the Fourth Genre" offers, and though we¹ll emphasize the art of travel writing, any variety of Creative Nonfiction will be welcome. Participants should submit a Creative Nonfiction writing sample ahead of time. Or, for those of you who plan to go on the seminar¹s accompanying trip, you may instead write a travel piece as you go. In either case, we will focus on craft and narrative technique, including voice, language, story arc, and theme. Among the topics we might discuss are how to keep a notebook; what separates a significant detail from an ordinary one; and how to shape random incidents and observations into cohesive nonfiction prose. This workshop is open to writers of all levels of ability. Applicants who wish to workshop their manuscripts should submit no more than 10 pages at the time of application. Others should bring notebooks and writing pads for the journey. 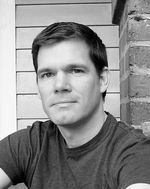 Porter Shreve grew up in Washington, DC, worked for several years on the night city desk at the Washington Post, and graduated from the MFA program at the University of Michigan, where he studied the novel, the short story and creative nonfiction. He has taught at the University of Michigan, the University of Oregon, the University of North Carolina at Greensboro, and is now an Associate Professor and Director of the Creative Writing Program at Purdue University. Shreve is the author of two novels, both with Houghton Mifflin: Drives Like a Dream and The Obituary Writer, a New York Times Notable Book. He is currently working on a third novel, When the White House Was Ours, to be published in 2008. He has coedited three essay anthologies for Beacon Press, and with his wife and fellow workshop leader Bich Minh Nguyen has coedited three textbooks for Pearson Longman, including Contemporary Creative Nonfiction: I & Eye. Shreve has published many short stories, essays, articles and book reviews. His travel writing has appeared or is forthcoming in Salon, World Hum, Travel + Leisure, and the New York Times Sophisticated Traveler. In this workshop you will be encouraged to explore the subject of food as a part of traveling, as its own journey, and as a source for memory, experience, and revelation. We will be writing under the wide umbrella of creative nonfiction, which draws on elements of memoir, personal essay, and literary journalism. Though we will discuss the art of food writing, any subject will be welcome. Participants should submit a creative nonfiction sample ahead of time. Or, for those of you who plan to join the seminar¹s accompanying trip, you may instead write a piece as you go, detailing your observations (which may or may not be food related). In either case, our workshop will focus on the broader elements of creative nonfiction writing, such as narrative technique, voice, language, and ideas. We will talk about the role of the "I", what lifts a memoir from the pitfall of self-absorption, and how to shape our thoughts and personal experiences into meaningful prose. This workshop is open to writers of all levels of ability. Applicants who wish to workshop their manuscripts in Key West should submit no more than 10 pages at the time of application. Those who wish to write a piece as they go on the accompanying trip should bring a notebook for the journey. Bich Minh Nguyen (first name pronounced like “Bit”) was born in Saigon. She left Vietnam with her family in 1975 and grew up in Grand Rapids, Michigan. She received an MFA from the University of Michigan and has taught at the University of Michigan and the University of North Carolina at Greensboro. She currently teaches fiction, poetry and creative nonfiction writing at Purdue University. Winner of the PEN American Center’s 2005 PEN/Jerard Award in nonfiction, she is the author of a memoir forthcoming from Viking/Penguin, Stealing Buddha’s Dinner, and a forthcoming novel, Short Girls. With her husband (and fellow workshop leader) Porter Shreve she is coeditor of 30/30: Thirty American Stories from the Last Thirty Years; I & Eye: Contemporary Creative Nonfiction; and The Contemporary American Short Story: A Longman Anthology. 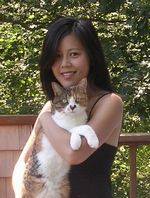 Her work has also appeared in Gourmet magazine; the Chicago Tribune; Dream Me Home Safely: Writers on Growing up in America; Scribner’s Best of the Fiction Workshops; and Watermark: Vietnamese American Poetry and Prose. Three Day Workshop and Individual Manuscript Consultation with novelist/children's writer Susan Shreve and literary agent, publisher and former Editor Timothy Seldes. 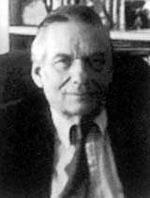 Timothy Seldes has spent most of his professional life in book publishing; beginning with 17 years at Doubleday where he was the Managing Editor of the Trade Department. He also worked at Harcourt Brace, the New American Library and Macmillan. Outside of book publishing, he was Assistant Publisher of The New York Post and the Public Information Officer of The Welfare Island Development Corp. He was Chairman of the Board of Poets & Writers for many years. Since 1972, he has been the President of Russell & Volkening, Inc., a literary agent which represents such authors as Annie Dillard, Marian Wright Edelman, Nadine Gordimer, Jim Lehrer, George Plimpton, Howell Raines, Dan Schorr, Ntozake Shange, Anne Tyler and Eudora Welty. He is married to the author Susan R. Shreve (who was with the Seminar in 1999 for the American Novel, as a moderator and workshop leader) and divides his time between Washington, D.C. and New York City. Susan Shreve was the founder of the Master of Fine Arts Program in Creative Writing at George Mason University and served as its director for three years. She has been a Professor of English Literature at George Mason for twenty-two years.She has been a Visiting Professor of Creative Writing at Princeton, Columbia, Bennington and George Washington University, as well as a Bread Loaf Writing Fellow and Staff. In addition to her works of fiction, Susan has written twenty-three books for children published by Alfred A. Knopf, Inc. and William Morrow, among others. From 1985-1995 she wrote and delivered short documentary essays for the MacNeil Lehrer News Hour. Her novel "Daughters of the New World" was seen as a four part mini-series produced by Warner Brothers in the Fall of 1998. "A Country of Strangers" has been optioned for film and "The Visiting Physician" is in development as a new series for NBC.